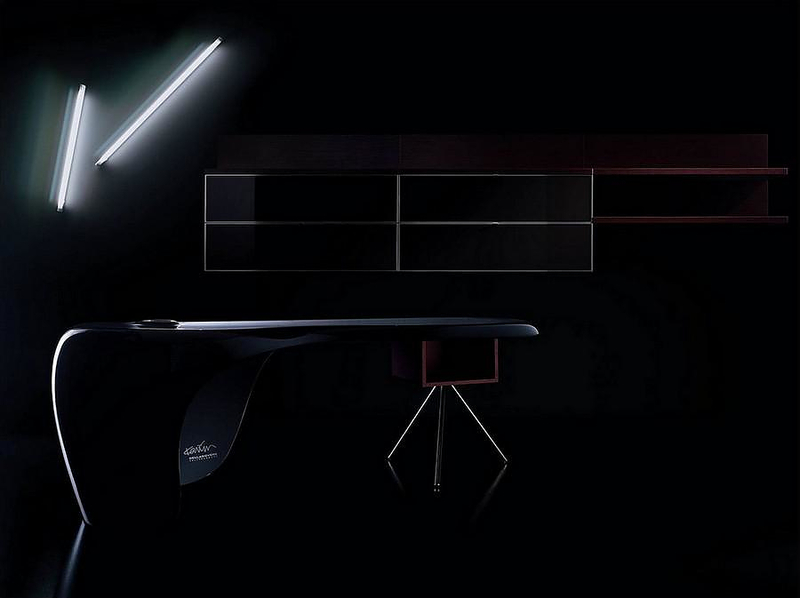 HomeBlogHome DecorUNO Desk by Karim Rashid for Della Rovere. 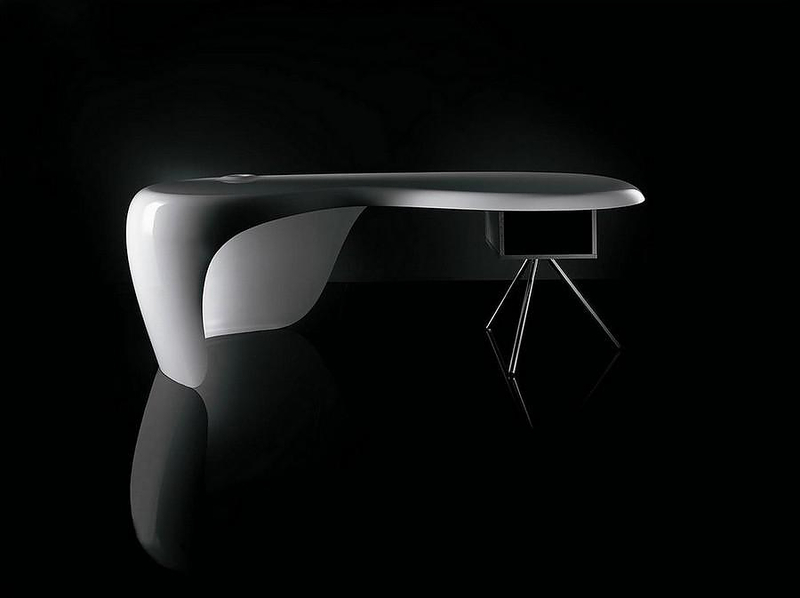 Uno Desk is a distinctive piece of furniture designed by award winning Egyptian designer Karim Rashid for Italian brand Della Rovere. 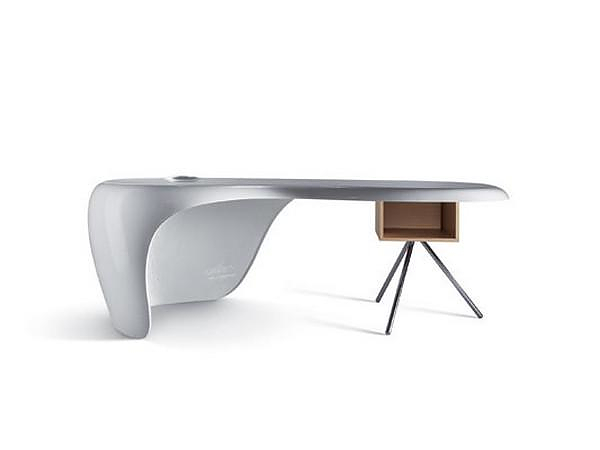 Its organic design along with its fine lines and colours, compose a very stylish and sleek desk composed of a free-standing single piece moulded top and a wooden storage compartment. 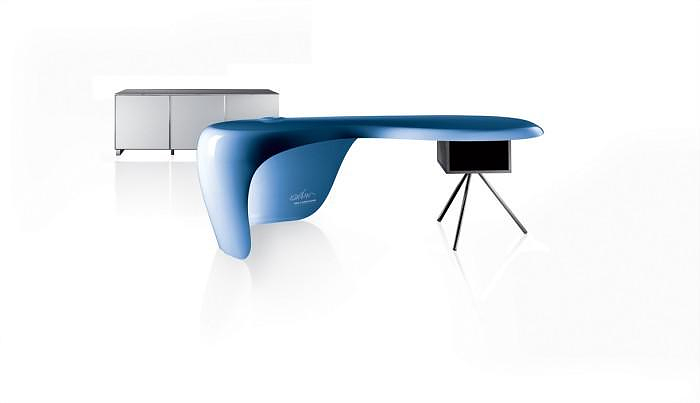 This under desk storage element sits on top of a steel tripod frame and can be finished in a choice of laminate colour and wood finishes. 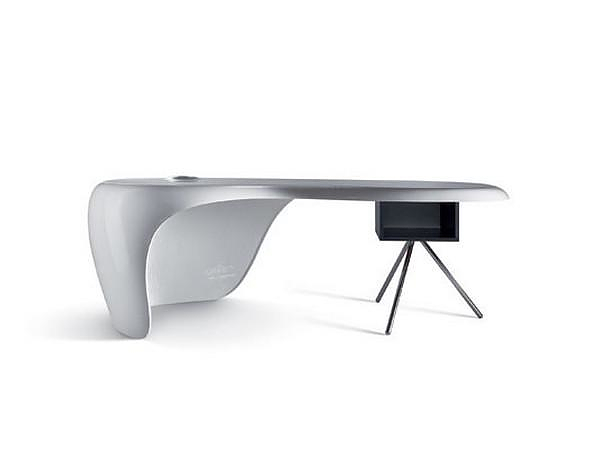 If you want to use the Uno Desk as a reception desk the curved body of the reception front provides screening, moreover the desk top is supplied with an opening for cables. 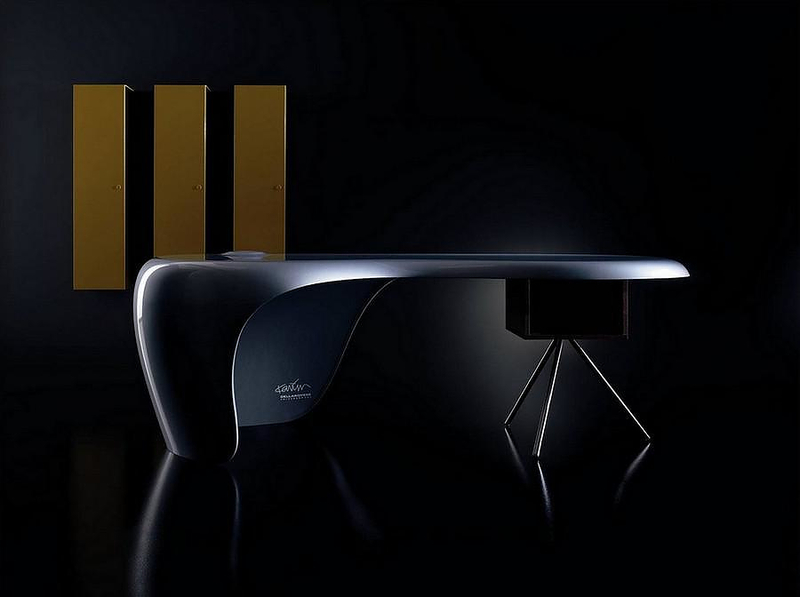 The continuous curves of the Uno Desk and its unique sculptural body make it an iconic and high impact piece, a contemporary reception furniture that is a joy to behold. 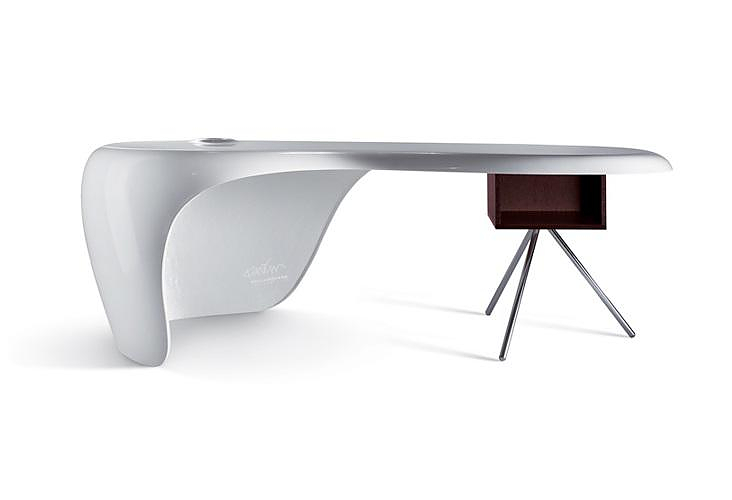 The use of innovative materials which are unusual for office furniture constitute the Uno Desk a flexible solution that can be placed anywhere. 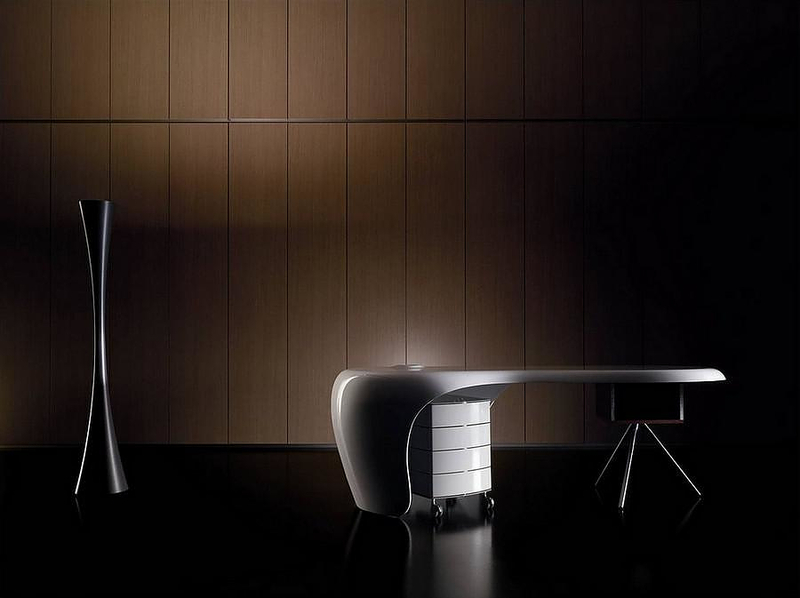 An executive office, a welcome point, a shop, or even a living room, are some of the possible areas the Uno Desk can be used. 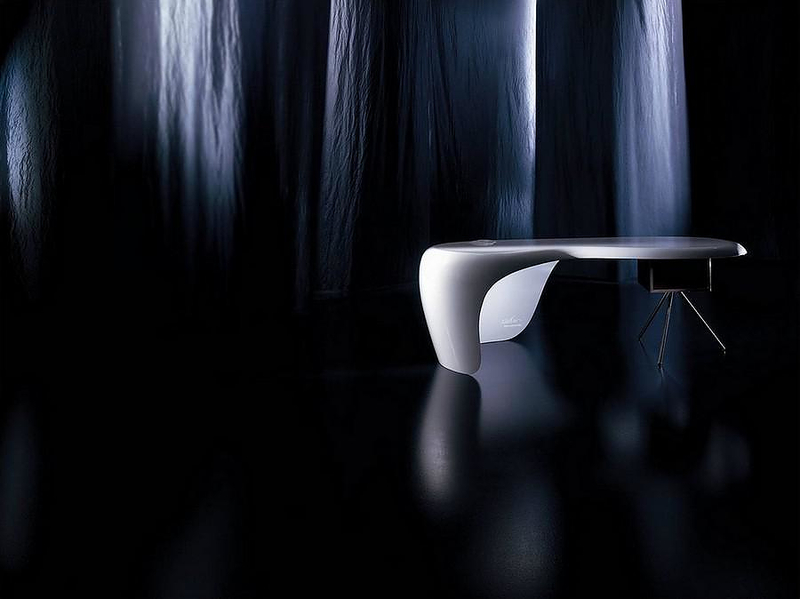 The impressive single piece tabletop is constructed from high density polyurethane available in a range of glossy or matt colours. 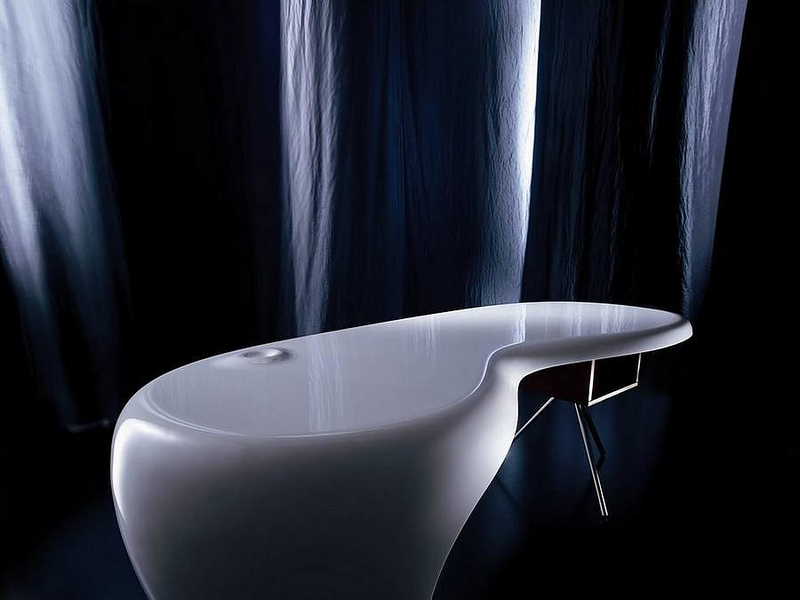 Karim Rashid was born in Egypt and is one of the most prolific designers of his generation. 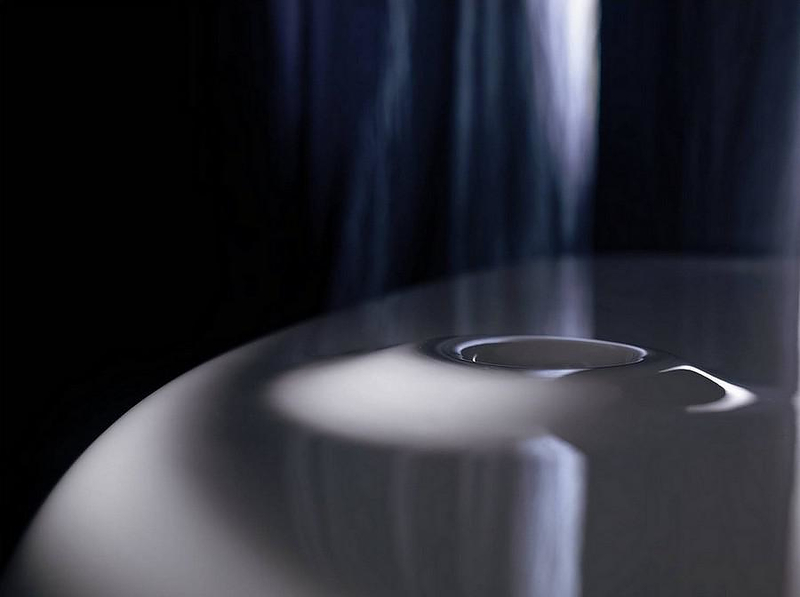 In 1993 Karim opened his design practice in New York city, where he continues to live & work where he designs products for companies such as Nambé, Issey Miyake, pure design, Fasem, Guzzini, Tommy Hilfiger, Sony, Zanotta, Citibank, & others. His work has been exhibited at and placed in the permanent collections of the Philadelphia museum of art (1999); MOMA New York (1994-98); SFMOMA (1998-99); Chicago athenaeum Chicago (1994-99); Wexner center, Columbus, Ohio; museum of decorative arts, Montreal; Toronto design exchange, Toronto; the Israeli museum, New York & the British design museum in London.